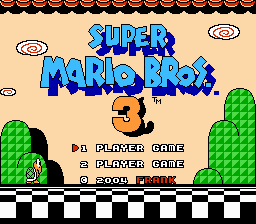 A second Super Mario Bros. 3 hack! The levels in this hack are vastly different from the original game, to feel like a completely new experience! Levels don’t start out terribly difficult, but get tricky later on, though they never become unfair. Secrets are strewn throughout the many levels, including new levels for the White Mushroom Houses, with new coin requirements, and the hidden whistle.